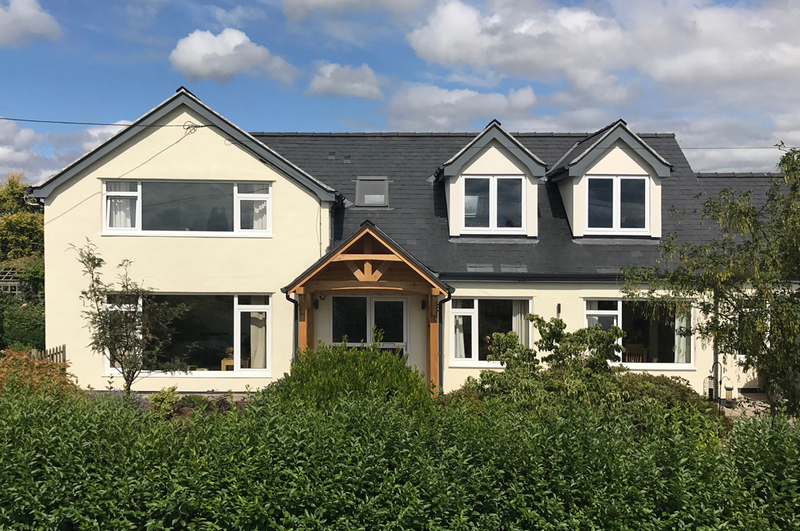 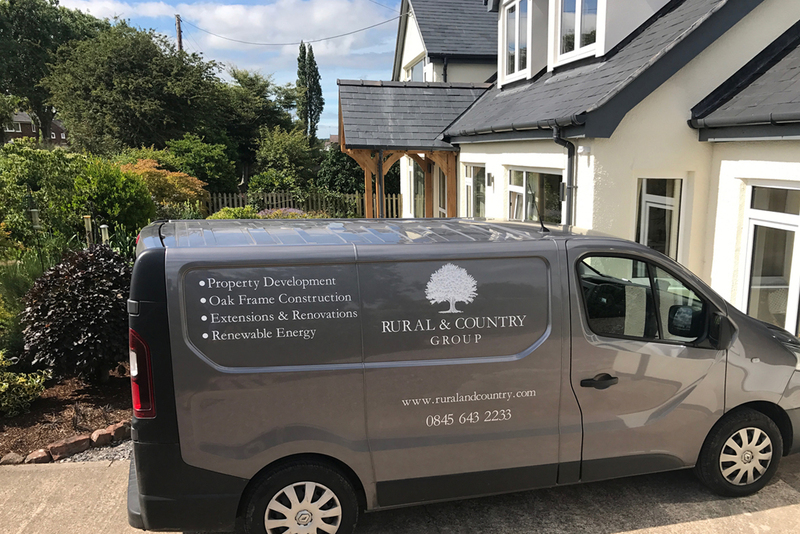 Our client commissioned us to design and install a more inviting entrance to his newly renovated property, using materials that worked well with the contemporary, neutral colours. 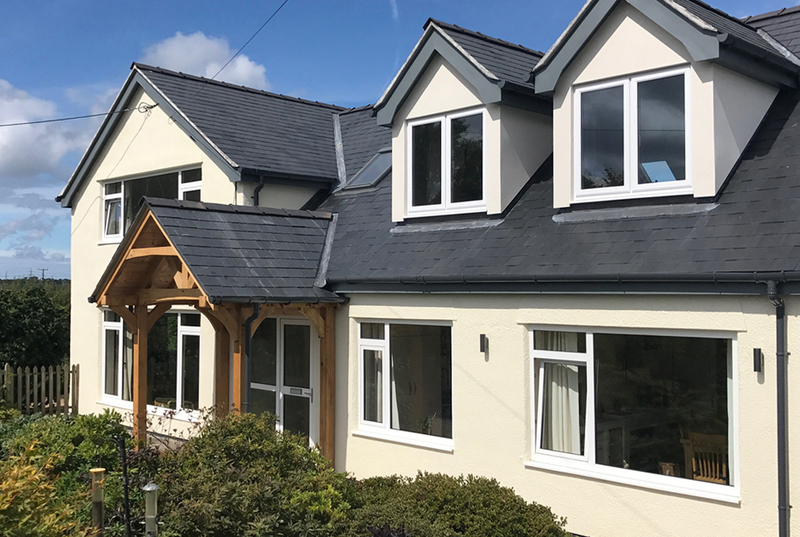 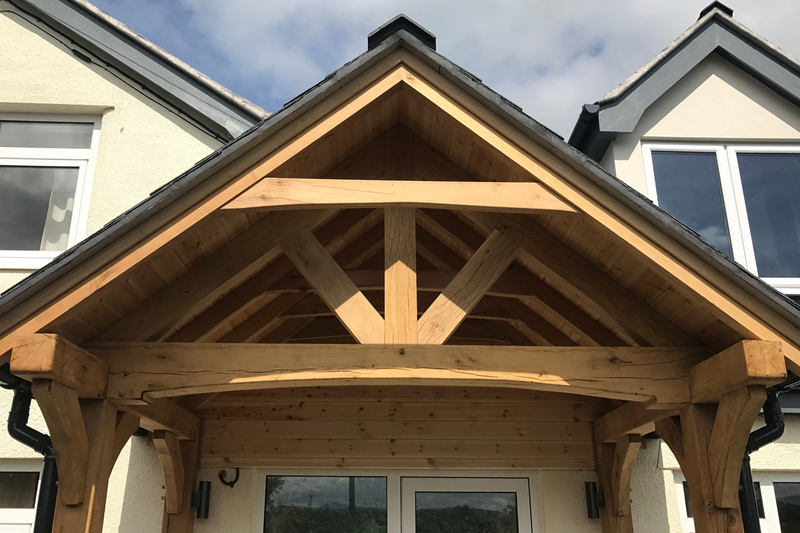 The result is an oak framed porch that not only works well with its surroundings but due to the ornate nature of it's construction, adds tradition and character to the entire front façade of the property. 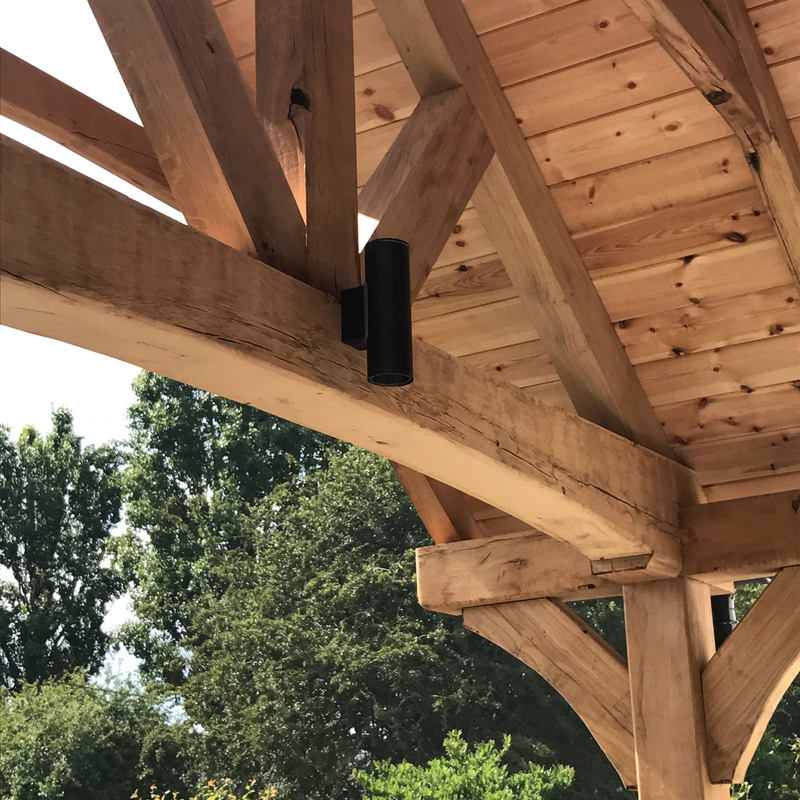 Typical Rural and Country detailing, hand crafted on site - no mass production kits here!